Clara Tsang Fung graduated from the Hong Kong Academy for Performing Arts (HKAPA), majoring in Music (Cello Performance). She had studied under different cellists, including Richard Bamping and Professor Ray Wang, and attended master classes held by Timothy Landuer, Gerhard lberer, Martin Menking and Mario Brunello. During her study period, she was already actively involved with a variety of musical projects. In 2000, Ms Tsang made a recording of Lalo’s concerto with Radio Television Hong Kong. She also performed with the Hong Kong Sinfonietta, the New Philharmonic of Hong Kong, the Pan-Asia Symphony Orchestra, and the Hong Kong Chamber Orchestra. She was later invited to join the Pacific Music Festival 2005 in major cities such as Tokyo, Nagoya, Osaka, and Sapporo, with conductors Jun Märkl and Nello Santi. In 2012, she was invited by The Symphony Orchestra Academy of the Pacific in Canada and played under the baton of Arthur Arnold. Apart from orchestral performance, she was invited to various music activities including live performance, pop music recording and music video production as well as multimedia events in collaboration with such as Hong Kong Asia Film Festival 2017 with Yoshiki from X Japan and dinner event by National Geographic Asia in 2018. 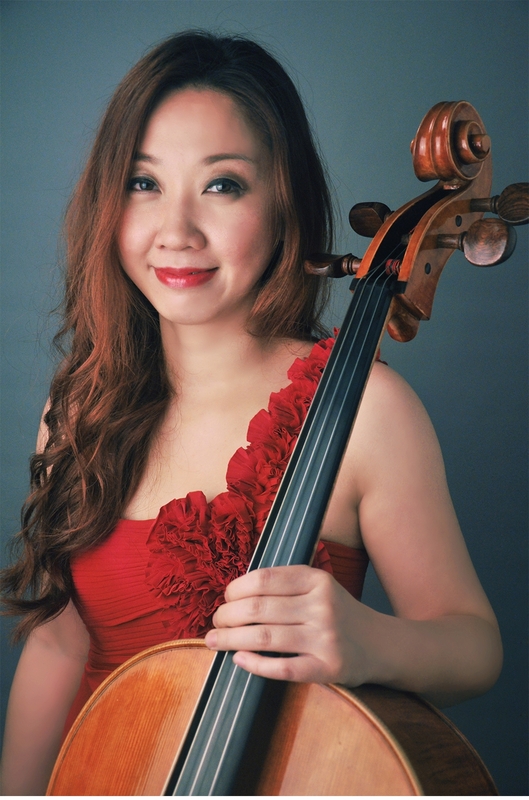 Her passion and vision in bringing music to as many people as possible has led her to establish Hong Kong Cellist Society in 2004. The Society aims to provide a platform to all musicians for music exchange and sharing and opportunities for performance, to nurture a healthy appetite for classical music, and to encourage interaction between musicians and the public. In view of this mission, the Society presented Hong Kong Cello Festival, Cappuccino Moment and Forever Red Project and runs the Young Musicians Performance Program (YMPP). Over the years, the society has now grown from a handful of supporters to over 1600 active members now. Under the support of Forever Red Project (FRP), Ms Tsang had her first Cello Recital and then a concert lingering in “Deep Autumn” in December 2012. In March of the following year in “The Shadow of Your Smile,” Ms Tsang brought jazz and classical together and then in June introduced Ms Tsang’s devotion to her “Brahms Addiction” at HKAPA. presented in March “The Shadow of Your Smile” where Ms Tsang Brought jazz and classical together and then in June introduced Ms Tsang’s devotion to her “Brahms Addiction”. Followed by the series of intensive performances in 2013, Ms Tsang made her first international debut, “Miraculous Life,” in Carnegie Hall, New York in March 2014 with the Fellowship granted by the Asian Cultural Council (New York). As well, she was invited to perform in the Faculty House at Columbia University during her stay in US. Later in May Mother’s Day, she was invited by Shen Shu Yi Foundation for a charity recital “Songs my mother taught me”. Since then, FRP features Ms Tsang in annual concerts in collaboration with different media and artists. In 2015, she participated in two concerts with new concepts – a “Serendipity” encounter with modern dance and “The moment” of groundbreaking performance on music and the theory and philosophy of martial art, Wing Chun – which brought veteran dancer and martial art master to the stage to perform with the cellist. In 2016, Clara gathered her friends, including local pianist Charles Lau as well as remarkable violist Yoko Mano from Japan, to give a trio concert “Rendezvous”. In the following year, Clara brought a new concert “My Dearest” for Hong Kong and Taiwan tours. 2019 will mark a new milestone for Ms Tsang as she will launch a cello CD with financial support raised via crowdfunding under the theme of “Just Meet You” in hope to bring her music and passions to more audience.